Drivers must produce a current and suitable driving licence which has been held for at least 12 months and is free from any serious endorsements. The plastic card part of your licence must be shown every time you hire, as well as your national insurance number, failure to do so will result in a £6 charge in order for us to telephone the DVLA to obtain endorsements. Unless the hirer is arranging his own insurance cover, the driver must be between the ages of 21 and 75 (25-70 for minibuses and cars over 1500cc). Any individual hiring a minibus over 9 seats requires a D1 on their licence. Any individual hiring a 7.5 tonne lorry (2 3/4 tonne payload) requires a C1 on their Licence. No person other than the hirer or approved driver may drive the vehicle. (Overseas licences are accepted at the discretion of the company). All vehicles up to and including a Luton Box van with a tail lift have a £500 excess. A 7.5 tonne Box, 7.5 Tonne Curtain side and a Dropside have a £650 excess. When towing or hiring the Transporter, you have an excess of £1000. A deposit in excess of the anticipated hire charge is taken before hiring commences. Account facilities are available for regular users. Payment can only be accepted by Credit or Debit card. We do not accept or take any card payments over the phone. The hirer is responsible for all damage caused by striking overhead objects. You are liable for all overhead damage, this includes everything you hit and the vehicle you are hiring/driving. Goods Vehicles must not be overloaded and it is the hirer’s responsibility to ensure this does not occur. Heavy fines can be imposed by the Department of Transport. Overloading will result in your excess doubling. Failure to report accidents immediately, whether damage occurs or not, will result in the hirer becoming liable for any resulting claims as well as your excess doubling. An operator’s licence is required for all commercial users of vehicles over 3.5 tons G.V.W. This is not required for personal use. Morning, Afternoon and Overnight excluding weekends. Additional drivers can be added to the insurance, subject to the conditions above, at £4.00 per day or £20.00 per week. 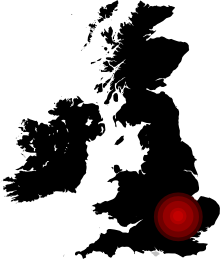 Continental hires, including all islands outside of the UK (e.g. Isle of White, Isle of Man, Ireland etc) must be notified in advance and will be subject to a surcharge for green card insurance, continental breakdown / accident cover and documentation. Any proposed extension to the hire period must be notified immediately to the rental office to ensure continuation of the insurance cover. The hirer is liable for all negligent damage (e.g. roofs mirrors, punctures, damage to side walls of tyres, filler cap, aerials, light lenses etc). Conditions for using the vehicle. The vehicle must only be driven by an authorised driver. and must have a full driving licence. if the vehicle is a commercial vehicle, use it for the purpose for which you need an operator's licence if you do not have one.